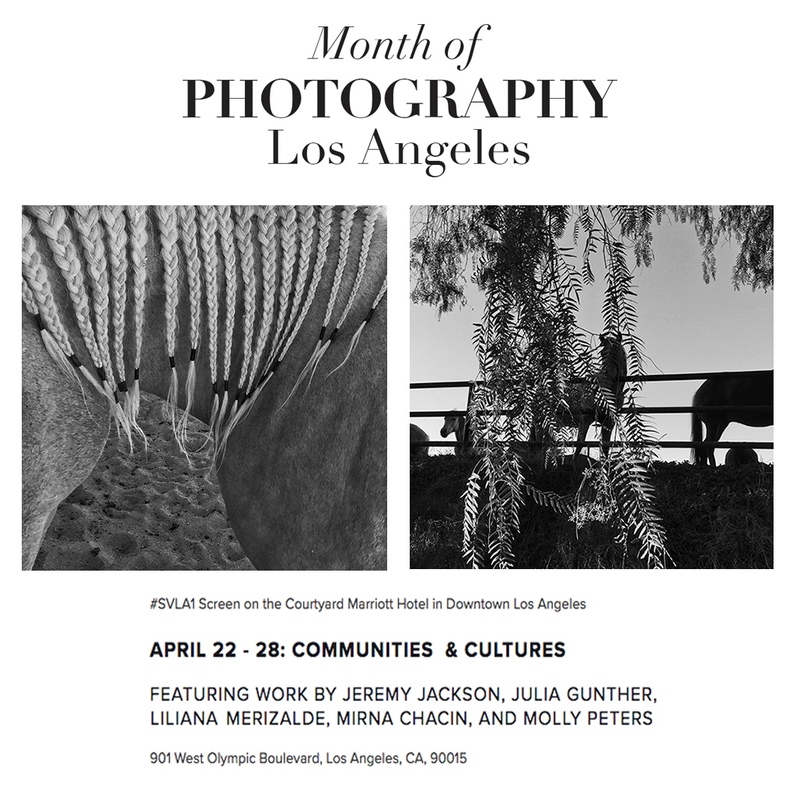 Six photographs from "Rancho" were selected to be shown projected on a billboard in downtown Los Angeles, in an official exhibition of the Lucie Foundation's Month of Photography LA. The photographs will be displayed in a week-long recurring 15 second spot at the top of every hour from April 22-28, 2019. The projection is on the Standard Vision screen, spanning four floors on the Marriott Courtyard Hotel, at 901 West Olympic Blvd, on the corner of Francisco Street and Olympic Blvd.